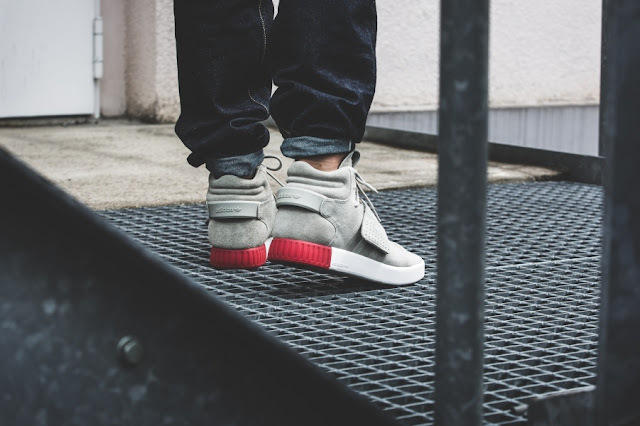 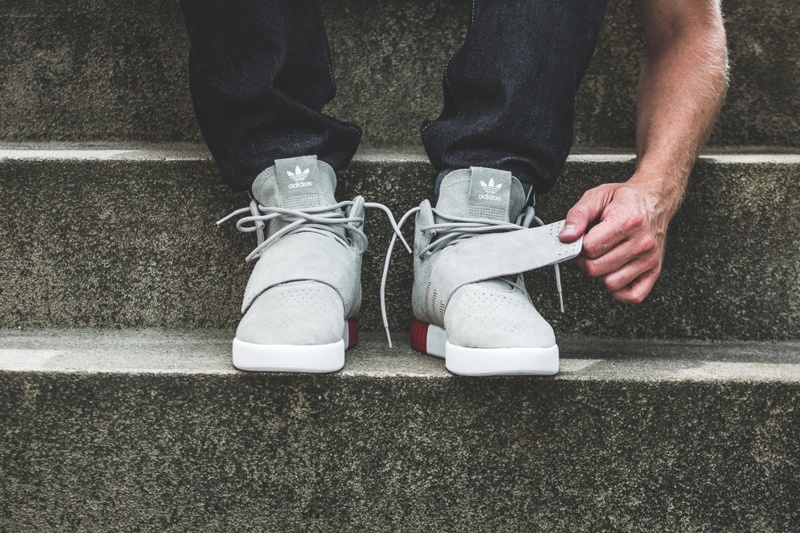 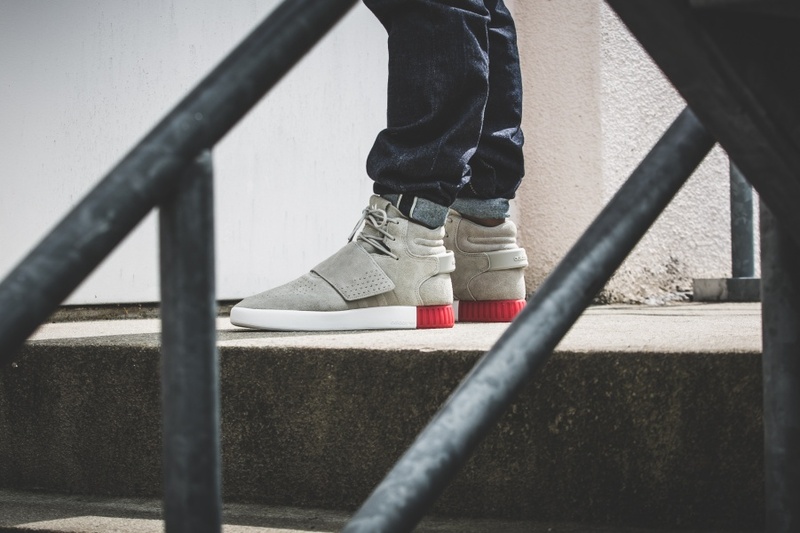 Take a little bit of Yeezy Boost 750, a breeze Invader and a shot of the original Tubular and you get the sick adidas Tubular Invader Strap. 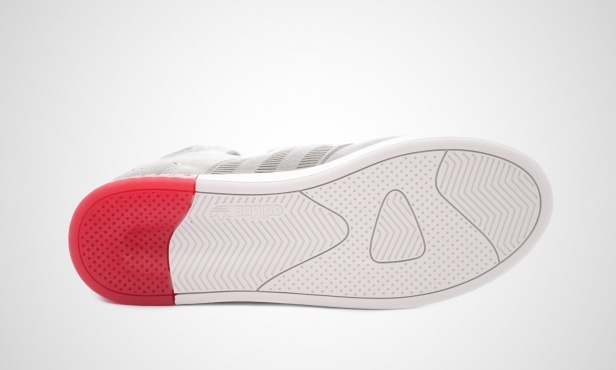 There is no doubt, that the adidas designers once again did a damn good job! The newest member of the Tubular family has a heavy hoops influence courtesy of the adidas Invader. 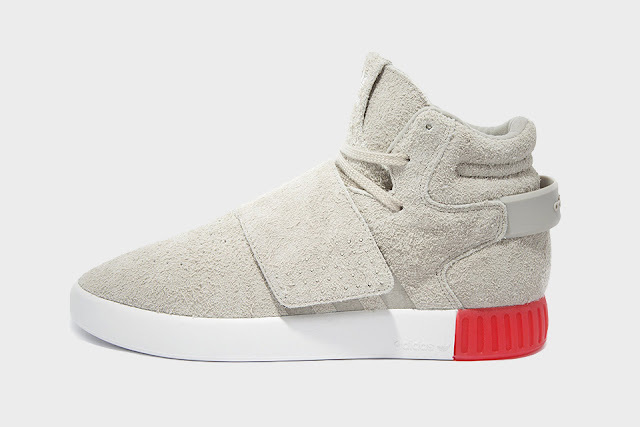 Furthermore the Tubular Invader Strap features an Yeezy Boost 750 inspired strap, an hairy suede high-top upper and a perforated toe box. 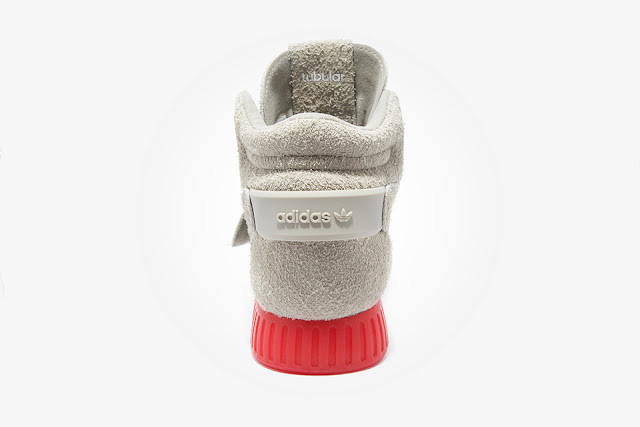 The sneaker comes with a beautiful beige upper, a shiny white midsole and strong red details on the heel.